In September 2013, the New York City Bar launched the Student Ambassador Program at local area law schools. 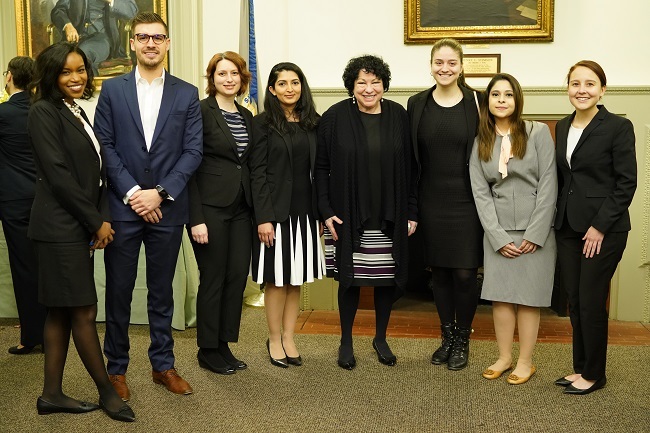 The student ambassadors represent the New York City Bar Association by communicating the benefits of membership, promoting relevant events, increasing student engagement, and recruiting new members at on campus events as well as City Bar programs and receptions. Student ambassadors have the opportunity to take a leadership role within the Association and gain visibility while developing a strong professional network in an association that includes 24,000 of the best legal minds in New York. If you would like more information on our Student Ambassador program, please contact Kim Howard, kim_howard@nycbar.org.